Have you ever watched polo and thought, “I would like to try that!”? If so, Palm City Polo Club (PCPC) in Boynton Beach is the place for you. Located just minutes from Wellington, PCPC offers the finest instruction for players of all levels. For Immediate Release | Phelps Media Group, Inc.
Boynton Beach,Fla. – March 9, 2017 — Have you ever watched polo and thought, “I wouldlike to try that!”? If so, PalmCity Polo Club (PCPC) in Boynton Beach is the place for you. 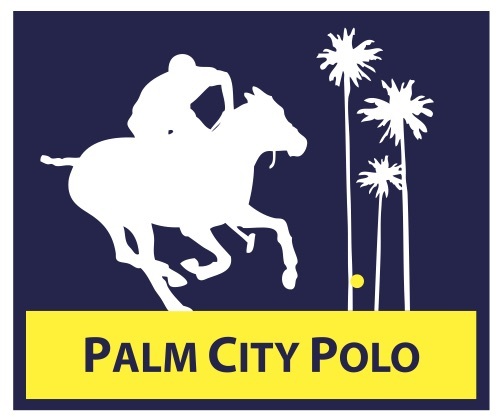 Located justminutes from Wellington, PCPC offers the finest instruction for players of alllevels.“Palm City Polo Club catersto players of all levels and interests,” said owner Joey Casey, a topinternational polo professional who is also one of the instructors. 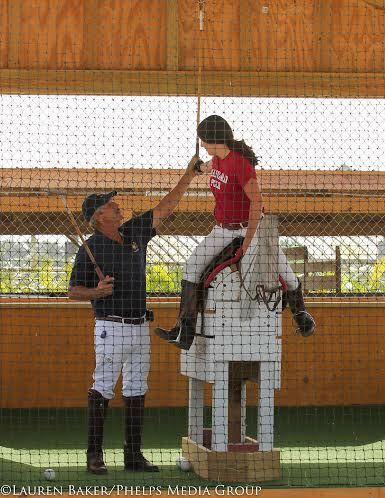 “If youhave never been on a horse or if you just want to improve your polo playingskills, we are here to help you.”Students at PCPC have accessto top-notch instruction and can participate in private lessons or basic ridingclinics. PCPC also offers a string of quality polo ponies to ride in lessons, practicesessions and even local tournaments. Peter Nathanial, an amateur polo playerbegan riding just five years ago and is now a regular tournament player atPCPC. Aemilia Phillips and Mike Harris in the hitting cage. “Joey Casey taught meeverything I know. I learned to ride andplay polo at the same time,” said Nathanial. “It’s fantastic to play here. Joeyis very safety conscious and wants everyone to have a great time playing polo.It’s a great atmosphere.”Aformer 7-goaler, Casey brings more than 30 years of professional poloexperience to Palm City Polo Club. In addition to his career as a professionalplayer, his family has been breeding polo ponies for more than 40 years. He isrecognized as one of the most experienced American players and horsemen in thesport.Inaddition to Casey, PCPC School employs Mike Harris as the chief instructor. Hehas an extensive polo background and is a United States Polo AssociationA-rated umpire. In addition to teaching riders of all levels, Harris has officiatedat many of polo's most prestigious tournaments. “Mikeis one of the best instructors in the country. His knowledge and experiencealong with our string of lesson horses gives our students a complete package,”said Casey. Formore information, contact Joey Casey at 561-289-9099.